IN an earlier part of a comprehensive evaluation of depression in general medical inpatients,1,2 we found that those with lower socioeconomic status scored higher than others on the Beck Depression Inventory (BDI).3 A basic question was raised: how are social variables, especially class, related to the frequency of depressive illness in medical patients? We also wished to evaluate conventional methods (clinical examination and standard rating scales) for diagnosing depression—what are the class variations? 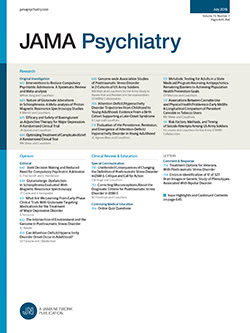 Although interest in the sociology of mental illness has increased in the last 15 years, most studies focus on schizophrenia; also, a survey of the literature reveals a paucity of data concerning relationships between demographic characteristics and the frequency of depression among general medical inpatients.